Mỹ Sơn (pronounced [mi sɤn]) is a Hindu temple complex, located in the village of Duy Phú in the administrative district of Duy Xuyên, Quảng Nam province, Central Vietnam. It sits sixty-nine kilometers southwest of Da Nang, and approximately ten kilometers from the historic town of Trà Kiệu. Many Champa temples exist in a valley roughly two kilometers wide, surrounded by two mountain ranges. The site of religious ceremony of kings of the Champa dynasty, Mỹ Sơn also served as a burial place of Champa royals and national heroes. 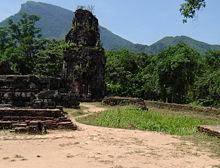 The Mỹ Sơn temple complex constitutes one of the foremost temple complexes of Hinduism in South East Asia and the foremost heritage site of this nature in Vietnam. The temple complex often has been compared to other temple complexes in Southeast Asia, such as Borobodur (Indonesia), Angkor Wat (Cambodia), Pagan (Myanmar) and Ayutthaya (Thailand). UNESCO designated Mỹ Sơn a World Heritage Site in 1999, on the grounds that Mỹ Sơn displays the evolution, change, and extinction of Hinduism's influence on Vietnamese civilization. Hinduism had been woven into the fabric of life during the Champa Dynasty from the seventh to the fifteenth century C.E. Royalty supported and promoted the faith, integrating Hinduism into the court life and every day life of the Champa people. Royal tombs number among the significant remains in Mỹ Sơn, giving evidence of the sway Hinduism had among the leaders of Champa. Long before the collapse of the Champa Dynasty, Buddhism began to rise in Vietnam, along with Confucianism and Taoism. Remarkably, after the collapse of the Champa dynasty in the fifteenth century, Hinduism virtually disappeared in Vietnam. 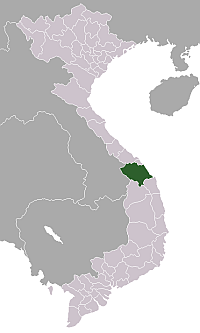 The construction of Mỹ Sơn began in the fourth century. Over many centuries, craftsmen constructed the temple complex with buildings and stupas of varying sizes, becoming the main cultural center of the Champa civilization in Vietnam. 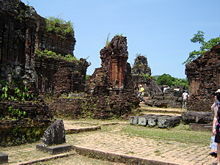 In addition to religious celebrations, in which the dynastic rulers attempted to connect spiritually with the gods, Mỹ Sơn served as a cultural center and burial place for kings. The earliest relics date to the era of king Bhadravarman I (Phạm Hồ Đạt) who reigned from 381 C.E. until 413 C.E. He built a hall to worship Linga and Shiva. Mỹ Sơn shows the hallmarks of a strong architectural influence from India, present in the stupas of the temples. The inscriptions on the stele, written in Pali, also reveal the cultural influences from India. Inscriptions on steles nearby point to the existence of a wooden temple in the fourth century which burned down in the seventh century. King Sambhuvarman (Phạm Phạn Chi), who reigned from 577 C.E. until 629 C.E., used brick to rebuild the temple, which still stands. It may have been moved from Khu Lật to Trà Kiệu at some point. Subsequently, kings continued to renovate temples, as well as construct additional temples, for the worship of Hindu gods. Craftsmen used brick to build the structures, structures which have remained standing into the twenty-first century. The Cham construction techniques still challenge archaeologists, especially understanding how the craftsmen lifted the rocks into place and the material they used to hold the bricks together. The stupas and tombs date from the seventh to the fourteenth century. The results of tomb excavations revealed that Cham kings had been buried on the site since the fourth century. A total of over seventy buildings stand in the complex which may have been the religious and cultural center of the Champa government while based in Trà Kiệu or Đồng Dương. Ruins of My Son Sanctuary. 1898-1899: Louis Finot and Lunet de Lajonquière studied the inscriptions on the steles. 1901-1902: Henri Parmentier studied the artistry, in 1904, he conducted and exhumation study there. In 1904, Finot and Parmentier announced their discoveries at Mỹ Sơn. The research work of Parmentier revealed sixty eight architectural sites, divided into groups labeled from A, A' to N.
Art historian F.S. Tern divided the remains at Champa into seven phases based on the style of art. Mỹ Sơn has examples of all the styles, two of which theoretically originated there. The A1 temple has been often referred to as the architectural masterpiece of the Cham. The French archaeologists divided the architectural works at Mỹ Sơn into ten principal groups, A, A', B, C, D, E, F, G, H, K to enable a system of labeling sites by capital letter and number. The architecture of the temples and tombs at Mỹ Sơn represent a convergence of a diverse range of styles, from ancient to later styles. Mỹ Sơn E1 and F1 date to the eighth century, while Mỹ Sơn A2, C7 and F3 resemble the style of Hòa Lai at the turn of the ninth century. Mỹ Sơn A10, A11-13, B4, and B12 reflects the Đồng Dương style of the late ninth century. Mỹ Sơn B5, B6, B7, B9, C1, C2, C5, D1, D2, and D4 share the style of Mỹ Sơn A1 of the tenth century. And Mỹ Sơn E4, F2, and the K group of sites exhibits the transitional Mỹ Sơn A1-Bình Định style of the early eleventh century to the middle of the twelfth century. The final style of Bình Định (from the end of the eleventh century to the start of the fourteenth) comprises Mỹ Sơn B1 and groups G and H.
Remnants of Cham Kingdom at My Son. Indian artistic and architectural style heavily influenced the temples. The complex consists of a major stupa (kalan) and many smaller stupas which encircle it. The stupas have a conical shape, representing the peak of Meru mountain, the residence of Hindu gods. The gates of the stupa face the East to accept the sun's rays. Many stupas exhibit ornate architecture and depictions of gods serenely surrounded by flowers. The majority of those depictions have decayed, only a few engravings remain with traces of gold that the Champa used. Most of the main temples at My Son revere Linga or Shiva, the protector of the Champa dynasty. Most devotees in past eras traversed the stupas in a clockwise direction. Despite the large influence of Hinduism, representations of Buddhism also appear in Mỹ Sơn, as Mahayana Buddhism had become the foremost religion of the Champa in the tenth century. A few of the temples had been constructed in that period, and in the seventeenth century, some of the temples and stupas underwent reconstruction or expansion. The craftsman at Mỹ Sơn developed their own indigenous styles. They discovered a way to "glue" bricks together using tree resin native to central Vietnam. The actual method has been lost. It appears that the Champa builders set the resin in place by baking whole monuments in a fire for a few days. Archaeologists believe that the monuments had been detailed many weeks later after the structures thoroughly cooled. At the Mỹ Sơn complex, one temple had been constructed of stone, the foremost stone temple in Champa civilization. The stele inscription reveals that the last stone alterations to that temple had been made in 1234. The temple no longer stands, although it once stood at over thirty meters, the tallest building in the complex. Evidence gathered from the surrounding area shows that it once had been part of the original temple in the fourth century. The restoration began in 1937, with the work of French scientists. In the era 1937 to 1938, the A1 temple and smaller ones surrounding had been restored. In later years, from 1939 to 1943, B5, B4, C2, C3, D1, D2 had restoration completed. Many stupas and tombs (comprising group A and stupa A1, comprising the twenty four meter tall A1 and six surrounding stupas, previously in good condition), had been destroyed in 1969, in the Vietnam War. The surrounding area still suffers from the threat of unexploded land mines and other weapons of war. Damage at My Son (crater caused by bomb being dropped in Vietnam War). The majority of the temple sites in the center of the complex, such as the B, C, and D groups, survive. France removed many statues and prayer thrones to historical museums in Vietnam, such as in Ho Chi Minh City and the Cham Museum in Da Nang. A temporary museum has been set up in two of the temples, with the funding from benefactors in Germany and Poland, to display images of the remaining tombs and relics. On March 25, 2005, Quang Nam Province held an opening ceremony, displaying the relics of Mỹ Sơn with an area of 5400 square meters and a display house of 1000 square meters. Financing from Japan enabled the construction of a one kilometer access road. Worries remain about the durability of the temples, some vulnerable to collapse. From 2002 to 2004, the Ministry of Culture of Vietnam allotted around US$440,000 to maintain the site. The Government of Italy funded a draft plan for UNESCO for the sum of US$800,000. Efforts of Japanese sponsors to raise funds to prevent further degradation have garnered money from the World Monuments Fund. A My Son tower seen from inside. Linga-Yoni couple found in My Son Sanctuary, Quang Nam, Vietnam. ↑ Dougald J. W. O'Reilly, Early Civilizations of Southeast Asia. Archaeology of Southeast Asia (Lanham: AltaMira Press, 2007), 135. ↑ Thomas J. Barnes, Southeast Asian portraits (Philadelphia: Xlibris Corporation, 2002), 4. ↑ www.phatviet.com, Chanh Tri Mai Tho Truyen, Buddhism in Viet Nam. Retrieved August 19, 2008. ↑ Hindu Wesbite, Jaram V, The History, Antiquity, Chronology of Hinduism. Retrieved August 19, 2008. ↑ UNESCO, Mỹ Sơn. Retrieved July 16, 2008. ↑ L.A. Mills, British Malaya, 1864-1867, Journal of the Malayan Branch of the Royal Asiatic Society 3 (2): 174. ↑ Kỳ Phương Trà̂n, Unique Vestiges of Cham Civilization (Hanoi: Thé̂ Giới Publishers, 2000), 19. ↑ Oriental Architecture, Myson map Index. Retrieved July 16, 2008. ↑ Brad Olsen, Sacred Places Around the World: 108 Destinations (San Francisco: CCC, 2004), 118. ↑ Colin Amery and Brian Curran, Vanishing Histories: 100 Endangered Sites from the World Monuments Watch (New York: Stewart, Tabori & Chang, 2001), 114. Amery, Colin, and Brian Curran. 2001. Vanishing Histories: 100 Endangered Sites from the World Monuments Watch. New York: Stewart, Tabori & Chang. ISBN 9780810914353. Barnes, Thomas J. 2002. Southeast Asian Portraits. Philadelphia: Xlibris Corporation. ISBN 9781401054724. Hammer, Richard. 1970. One Morning in the War: The Tragedy at Son My. London: Rupert Hart-Davis. OCLC 221327953. Mills, L.A. with appendix by C. O. Blagden. 1925. "British Malaya, 1864-1867" Journal of the Malayan Branch of the Royal Asiatic Society. OCLC 5733352. Olsen, Brad. 2004. Sacred Places Around the World: 108 Destinations. San Francisco: CCC. ISBN 9781888729108. O'Reilly, Dougald J. W. 2007. Early Civilizations of Southeast Asia. Lanham: AltaMira Press. ISBN 9780759102781. Trà̂n, Kỳ Phương. 2000. Unique Vestiges of Cham Civilization. Hanoi: Thé̂ Giới Publishers. OCLC 45807848. Tuan, Tran Huu. 2006. How Much for World Heritage? 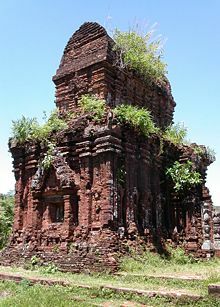 The Value of Temple Preservation in Vietnam. Singapore: Economy and Environment Program for Southeast Asia. OCLC 136404112. Tuan, Tran Huu. 2006. Valuing the Economic Benefits of Preserving Cultural Heritage: The My Son Sanctuary World Heritage Site in Vietnam. Singapore: Economy and Environment Program for Southeast Asia. ISBN 9781552502396. This page was last modified on 2 November 2018, at 19:48.